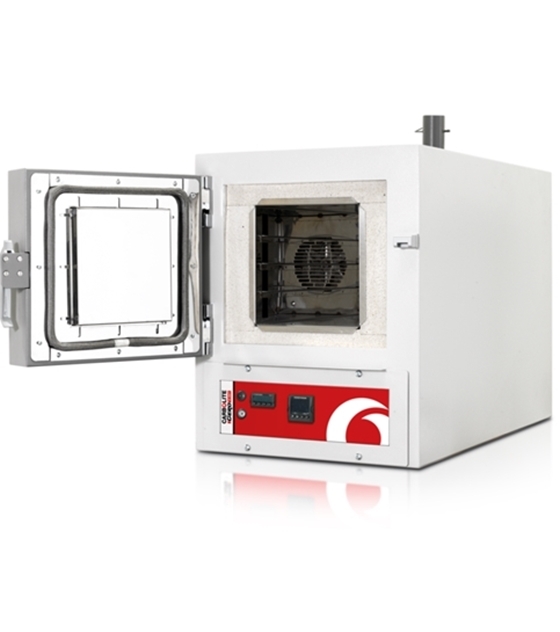 The 750 °C Carbolite HRF Air Recirculating Ovens comprise two bench-mounted models and two floor-standing models. Equipped with powerful fans and horizontal air-guides these models are intended to provide rapid heating with high thermal transfer to the chamber contents and high uniformity within the chamber. These designs frequently form the base from which custom designed chambers with non-standard sizes or control configurations are made. HRF ovens are often supplied with modifications to enable heat treatment within AMS 2750E Nadcap compliant production environments. • Combination of low thermal mass and refractory board insulation.